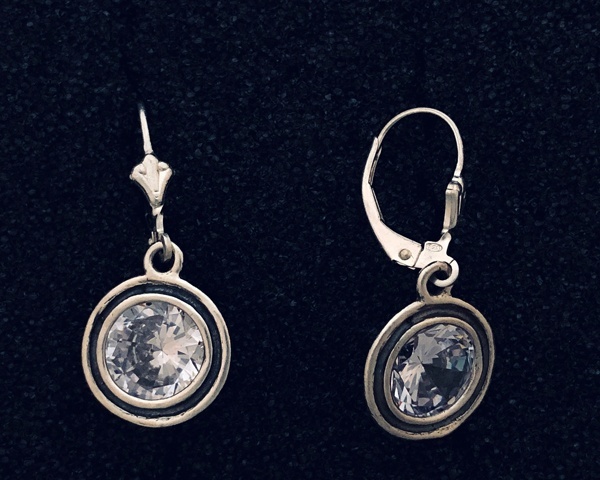 These round zircons measure about 3/8″ diameter and are set in sterling silver. They hang on sterling leverbacks for a secure fit. Made in Israel by the studio of Tamir Zuman.